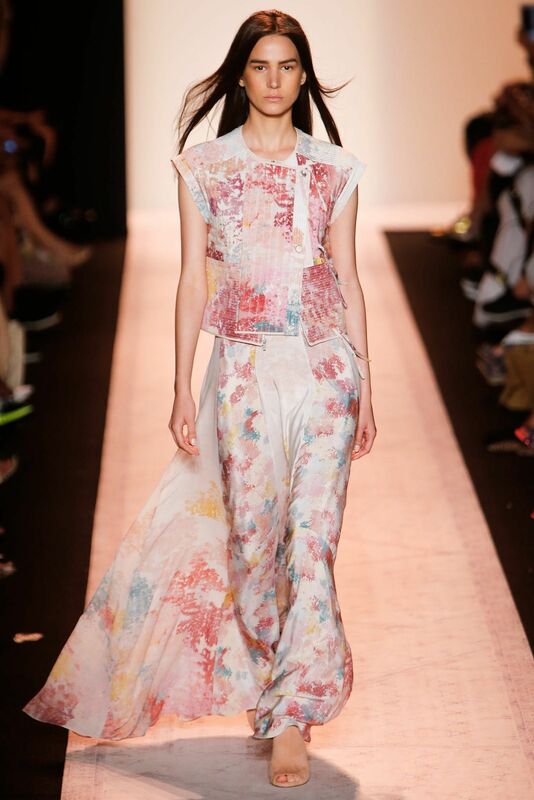 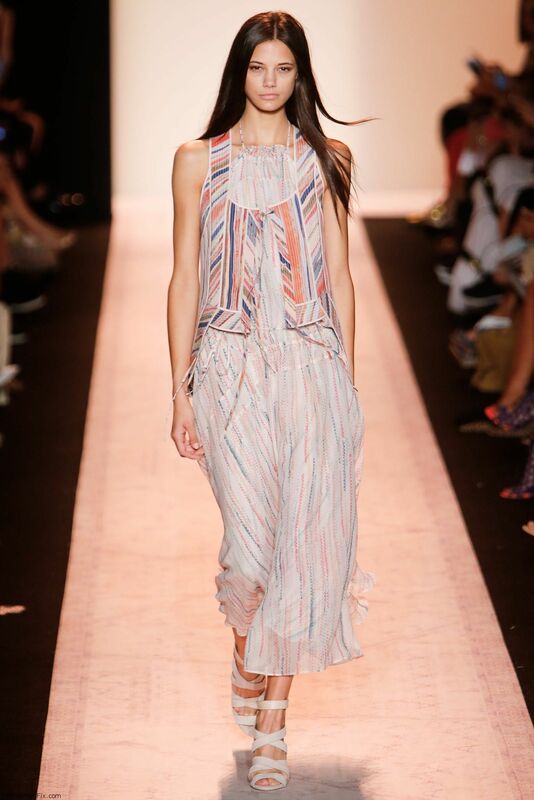 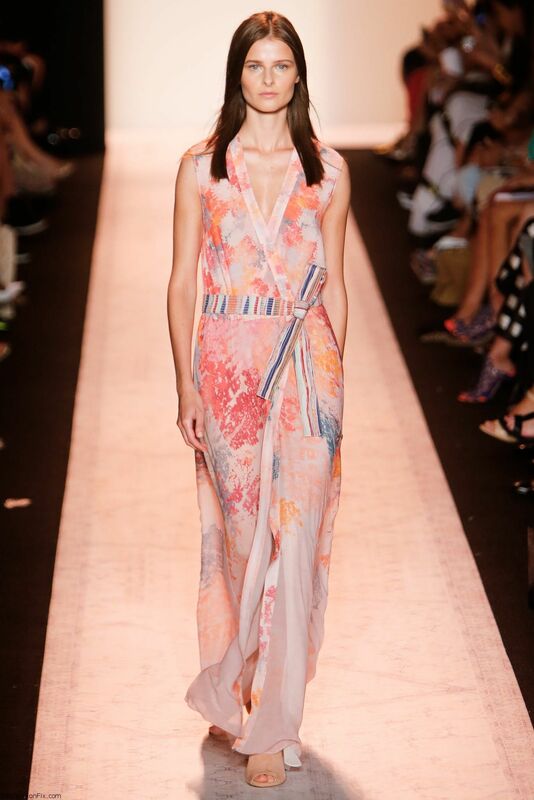 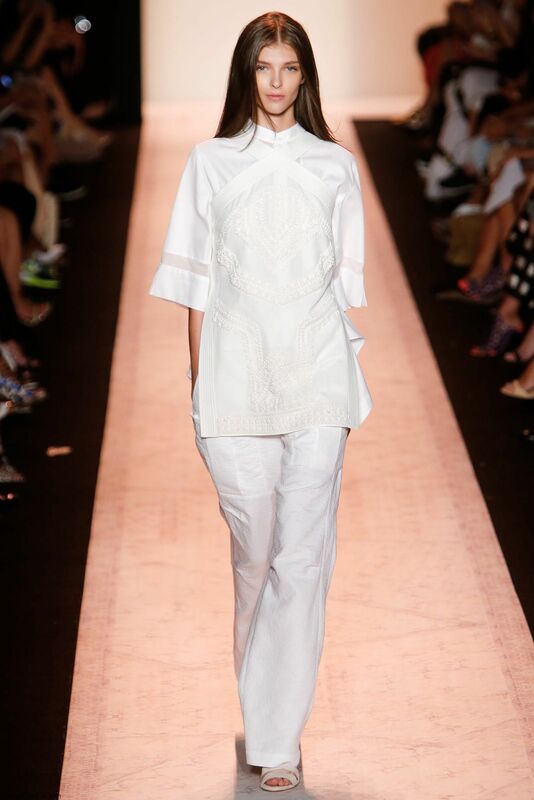 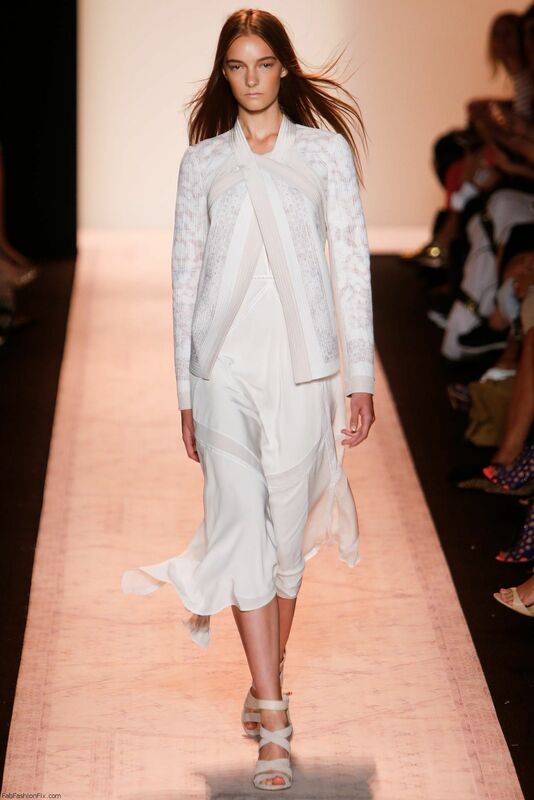 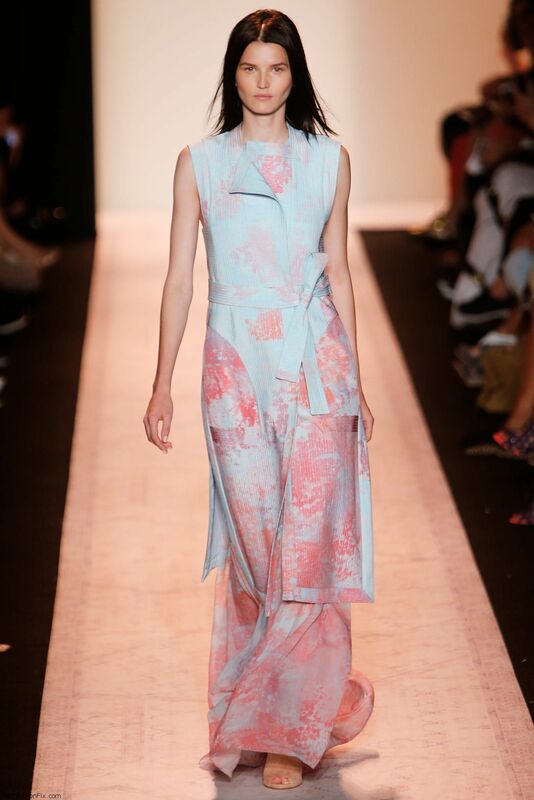 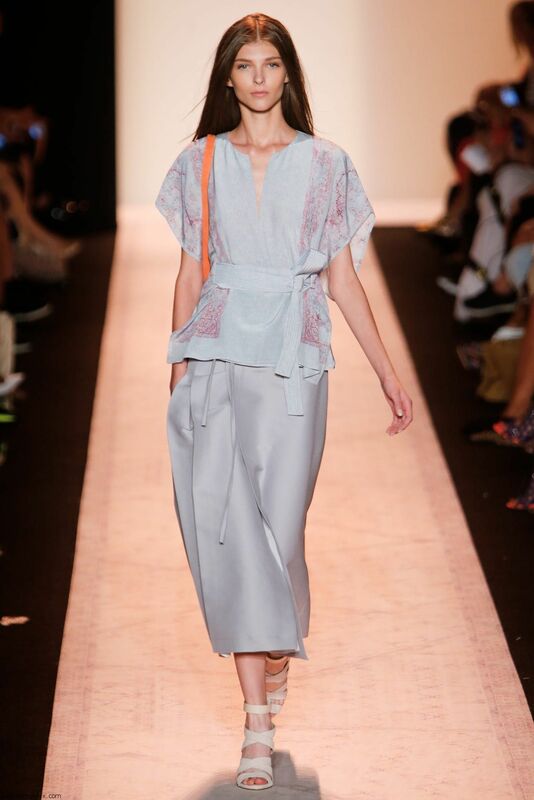 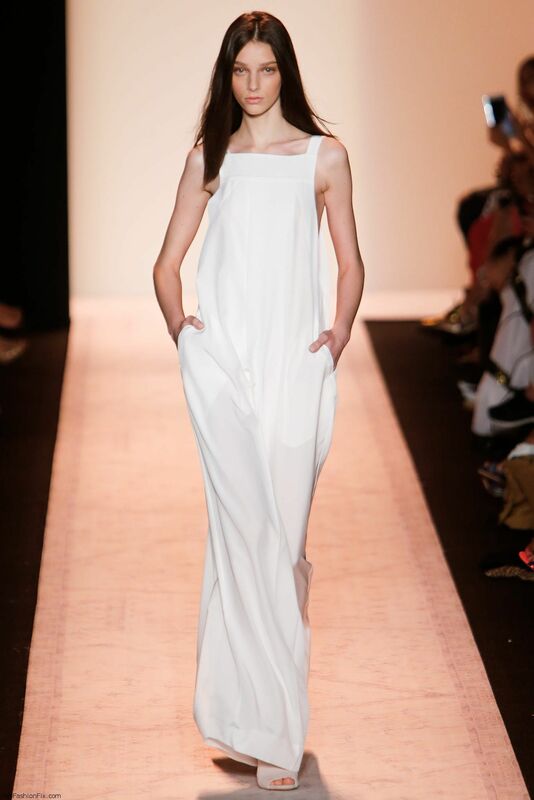 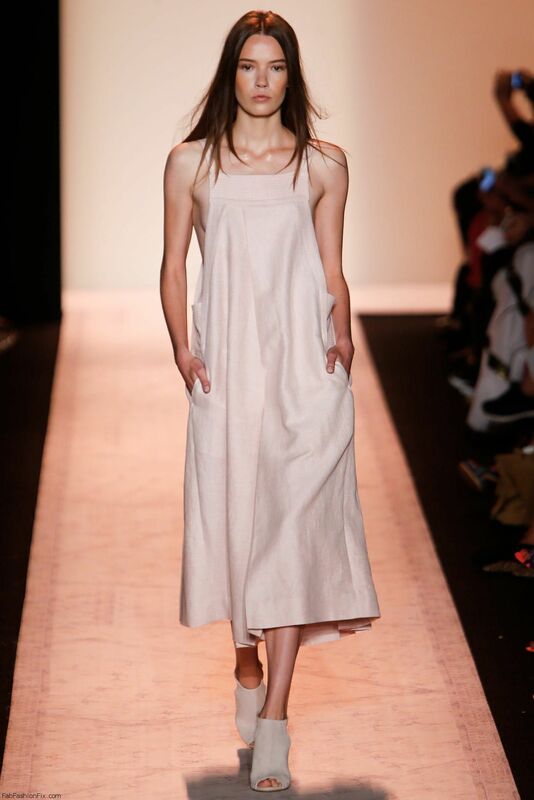 Fashion label BCBG Max Azria presented their new spring/summer 2015 collection tonight at New York fashion week spring 2015. 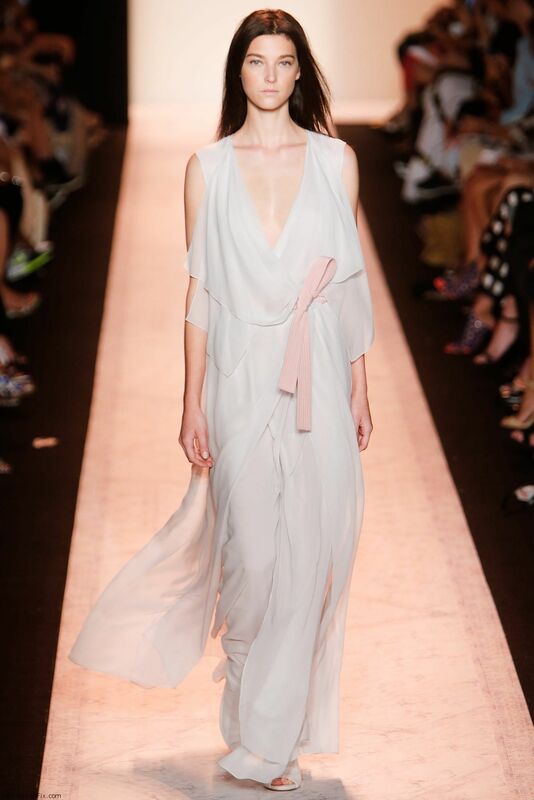 The next summer will be flowy, lightweight and with flawless bohemian vibe, according to creative directors Max and Lubov Azria. 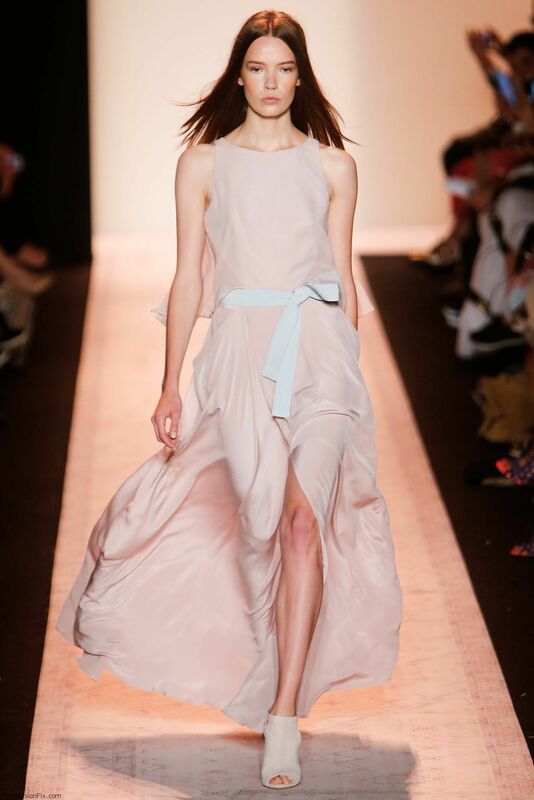 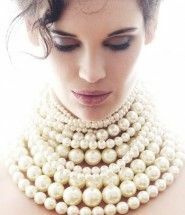 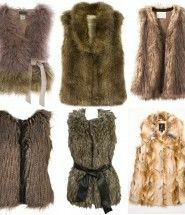 The color palette brings white, lavander, light blush, dusty rose, pastel blue and beige tones. 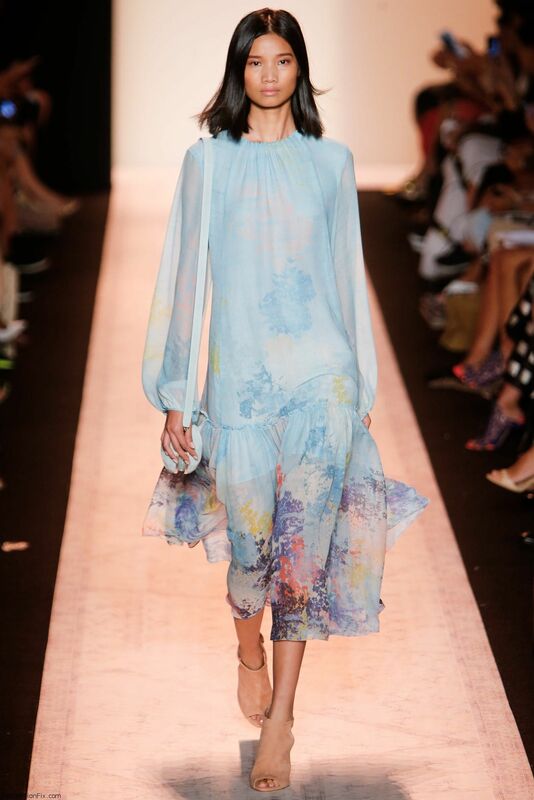 These almost ethereal colors combined with soft silk materials bring out timeless elegance with bohemian silhouettes. 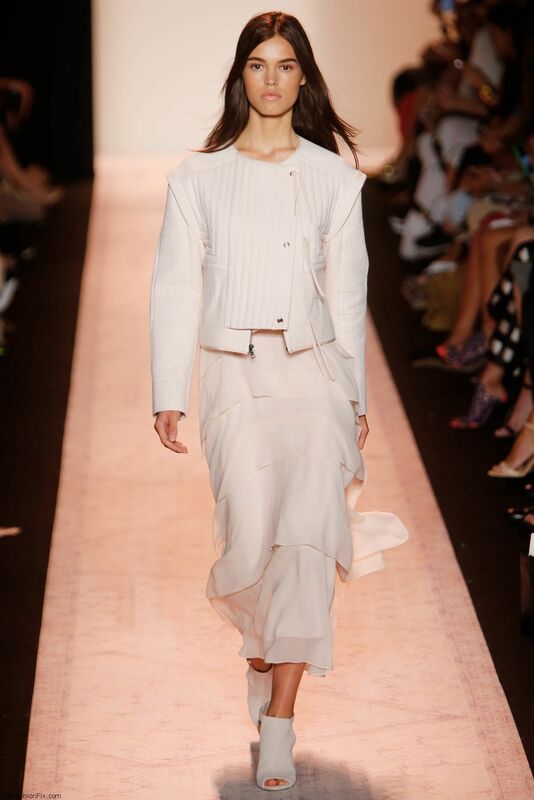 Since their customers are modern women, of course the leather jacket was inevitable wardrobe piece – white embroidered motorcycle leather jacket was combined with white flowy silk dress for the ultimate feminine chic statement.